Student of the Month – Lauren B. We are so thrilled to have Lauren, a senior at the Madeira school, with us this month! 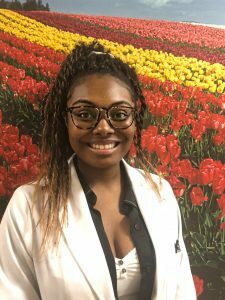 Lauren is an aspiring pre-medical student, who is completing her senior project by shadowing in our office. She will be graduating from Madeira on June 8th, and is excited to start school at the historical Barnard College this fall. In the mean time, Lauren has been a big help in our office, giving educational talks and helping us everyday! We are so proud of you Lauren, and can’t wait to see all of the incredible things that you will accomplish!